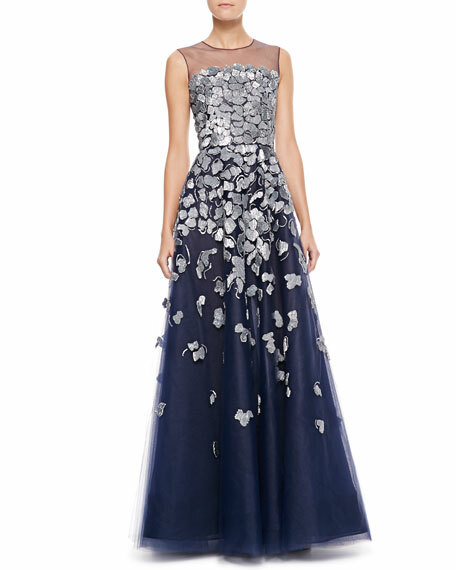 This ornately detailed Oscar de la Renta gown dances in the light with every step, turn, and twirl. 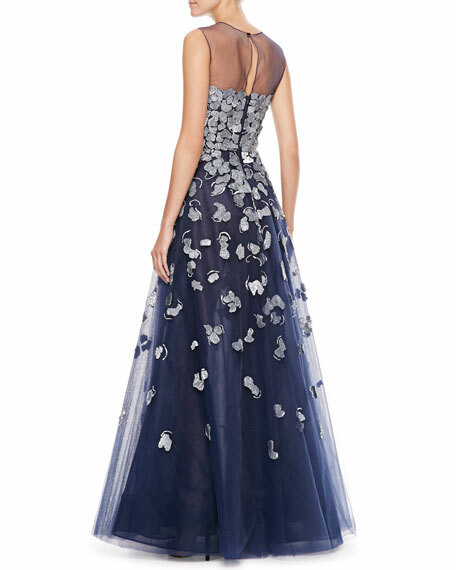 Beaded petal appliques adorn tulle. Sleeveless sheer yoke with crew neck; strapless illusion.